We Test Cars, Vans & Light Commercial Vehicles up to 3.5 tonne. 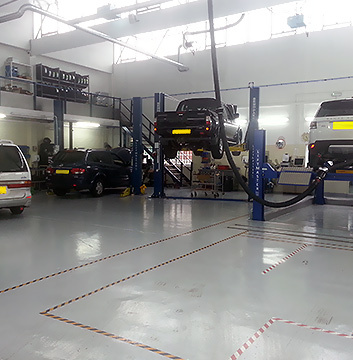 Harpenden Mill Autocare provide thorough MOT testing for customers throughout the local area. Our MOT testers will take the time to make sure our customers are kept fully updated with the process, putting your mind at ease and ensuring that you are advised about any repairs that are required. At Harpenden Mill Autocare, we want our customers to be reassured that your vehicle is safe, and meets the required standards to be roadworthy. Our MOT tester will provide MOT certification upon successful completion. Repairs can be provided for your vehicle if it fails to pass the MOT requirements. A free re-test will be offered within 14 days. We get most parts the same day! © Harpenden Mill Autocare 2019. All Rights Reserved.